This weekend we were able to borrow a car for a couple of hours, and took the opportunity to go furniture shopping. I wanted a desk to be able to work from and as we recently sold our sofa to free up some space in the tiny flat, we now actually had room for one. When we moved into our (unfurnished) flat 15 months ago, we decided that all the furniture we purchased would be second-hand. There were a number of reasons for this. The environmental factor was a big one, of course. Why buy something brand new when we could buy something old and give it another lease of life? New items are also always ridiculously overpackaged. Having just come from the UK, we had recently experienced selling a number of (once-new) items for significantly less than they had cost to buy. Not only did we realise the depreciation of new and shiny bits and pieces, but having seen the smiles of the people who were walking away with our stuff bought at cheap-as-chips prices, we realised that second hand furniture didn’t have to be rubbish and there were bargains to be had. Our first purchases were a washing machine (I researched the top water efficient models currently on the market, and then looked for a second hand one) and two old but clean and surprisingly comfortable green armchairs which cost just $10. We have since added a bed, mattress and two bedside tables, a dining table and four chairs, the sofa (which we have just re-sold) and now the desk. I have also bought a couple of second-hand kitchen appliances. We’ve saved a few trees (and a lot of plastic packaging!) as well as a few dollars, and we’ve had only good experiences with everything we’ve bought. Now I can’t imagine buying brand new furniture. That’s not to say I never will, but whilst there’s so much great pre-loved furniture out there just waiting for a new home, there just doesn’t seem to be any reason why I would. In a world of finite resources, why waste what we have making new things when there are old things that can do the job perfectly well? Second hand furniture never comes cling-wrapped or bubble-wrapped, there’s no individually wrapped drawer knobs and door knobs and screws, and there’s no plastic wallet for the ‘instruction manual’. In fact, there’s no instruction manual as it’s already been put together. Hurrah! Second hand furniture is a chance to find exactly what you want – quirky, functional, antique, ethnic, bohemian, sensible – in the colour, material and size that you’re looking for. Rather than in the shops, where what you can buy is dictated by what the powers-that-be have decided is fashionable this year. Things that are made to last – guess what? – last. Things that are made to be cheap usually don’t. For the same price as you’d pay in the cheap mass-produced furniture warehouses you can buy solid items that will last much longer. And, as an added bonus, you don’t have to traipse around a mass-produced furniture warehouse clutching a colander and some wooden coat hangers that you’re sure will come in useful. You how those new items you buy smell so…new? Well, that would be the volatile organic compounds, and you’re breathing them in. These are chemicals found in paints and coatings with low boiling points, which evaporate into the air. 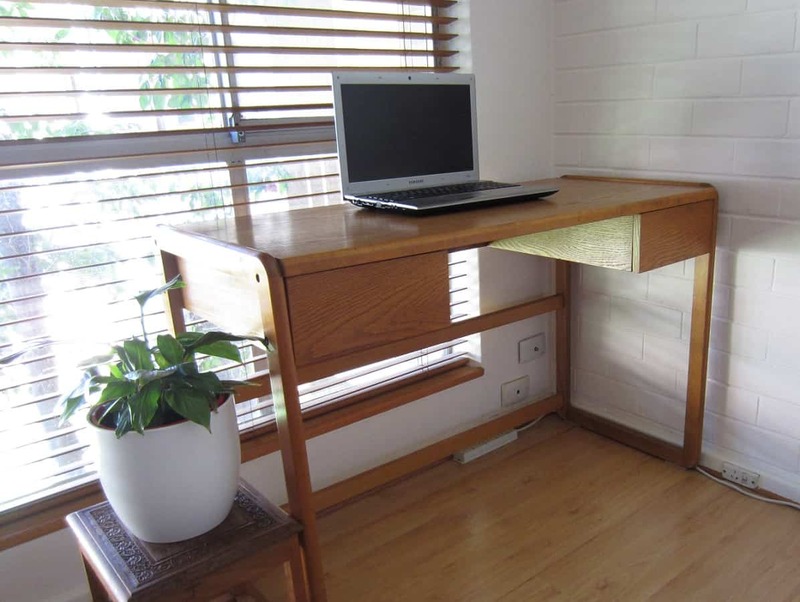 Because second-hand furniture is older, they will have less VOCs. Second hand furniture is invariably going to be cheaper than its brand new equivalent, and rare antiques aside, most furniture will depreciate. Scuffs, knocks and scratches are bound to happen in time, so why pay a premium for scratch-free? People sometimes need to sell stuff in a hurry, and it’s possible to find real bargains. In fact, people give away items that they no longer need if they are going to a good home. It’s not often that you are welcomed into a complete stranger’s house. I love getting to see new neighborhoods and briefly glimpsing the lives of people whose paths would probably never cross with mine, were it not for this brief transaction. Whilst that may sound a little odd (! ), it’s really surprising how often people ask about your plans, or share their own history, and you make a connection. After all, you’re taking a tiny piece of their life, and placing it in your own. That’s how I feel, but maybe that’s just me! No traipsing round the shops with half the local population at the weekend. Instead, browsing online from the comfort of my own home at a time that suite me and making a quick phone call or two. There’s a quote from the movie Fight Club that goes “the things you own end up owning you”. I love the way that second-hand items feel transient… they might be mine now but they belonged to someone else before me and they’ll probably belong to someone else after me. With the exception of one leather arm chair and a few mattresses, everything in our two storey farm house was bought second hand. We have some nice antiques and some that aren’t antique, but everything is much better quality than we could have bought new and will probably outlast my family. I like owning things with history. Money and quality were our main motivators, but I like that we live a bit more responsibly and sustainably because of our choices too. I totally agree about owning things with history! Second-hand furniture shopping feels like treasure-hunting to me, so I imagine furnishing your house must have been loads of fun. That is a cool desk!